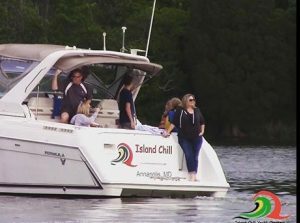 Cruise and enjoy non-stop entertainment on your private yacht aboard Therapy 43' sailboat or Irie Vibes 34' powerboat. Our crew are fun and at your service, All you have to worry about is having fun. we'll take care o your memories! Enjoy spectacular views and water fun activities too. 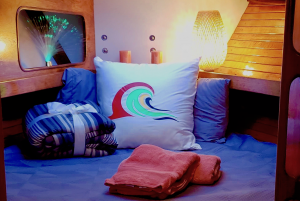 You also have the option of trying our delectable meals from our catered menu (view Islan Grill Kitchen menu) and sleeping aboard overnight, under the moonlight. Your Island Chill sales agent will help you create the perfect accompaniments for groups of up to 6 friends. 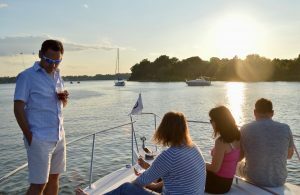 Enjoy 10% OFF Full day cruises on any of our boats. Contact us today. Your crewed charter experience begins with your desired yacht. 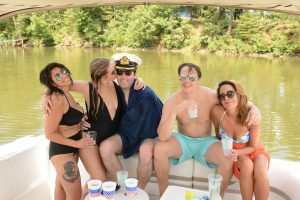 Click charter below and enjoy cruising with us! Party All Day With Your Friends! 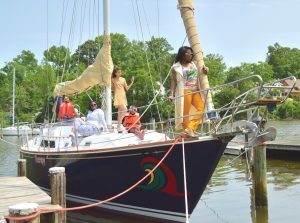 Click on booking link below and allow our crew to take you and your guests on a private Chesapeake Bay cruise to remember!